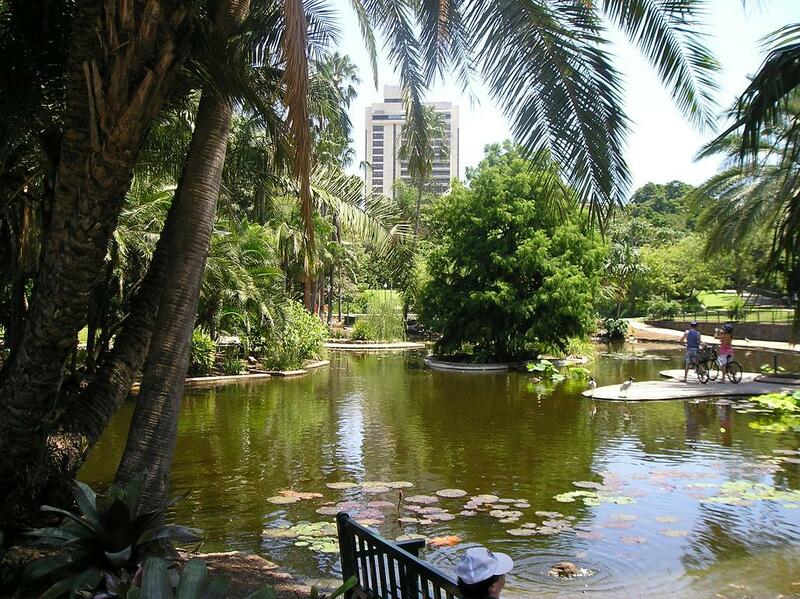 If you are a nature lover and have a thing for plants and flowers then Brisbane city botanic gardens is the right place for you where you can see the huge collection of a diverse range of plants. Just a few metres away from the hustle and bustle of city is the city botanical gardens where you can relax in the gardens full of unique species of beautiful flowers. The whole experience of botanic gardens is often calming and soothing. It is located on Gardens Point in the Brisbane CBD and the best thing is that just adjacent to the gardens is the QUT’s Garden point campus. On the other side of the gardens is the Brisbane river, so you can sit next to the Brisbane river and enjoy the view. The collection of botanic species in Brisbane city botanic gardens is rare and unusual special of palms, figs, cycads and bamboo. Do not forget your camera if you plan a visit to this place because you will have a lot to capture and you do not want to miss taking photos of the beauty of the nature while you are at the botanical gardens. The major attractions of the Brisbane city botanic gardens is the more than 200 years old cannon made in Scotland, Bamboo grove which is a collection of 23 bamboo species, artistic bronze sculptures, ornamental ponds, River stage where events are hosted, and Walter Hill fountain built in 1867 to provide drinking water to people at that time. 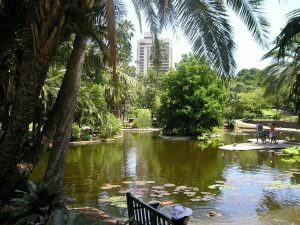 City botanical gardens is another great contribution to the Brisbane tourism and if you travelling to the Brisbane, it should be a must do item in your list of things to do in Brisbane city. The entry to the gardens is free and information can be collected from the main gate entry. The garden is pretty big so it won’t be a bad idea to grab a map from the main gate and you can also hire a bike if you like to explore this huge garden via bike. On a hot summer day, you may want to grab a water bottle, sun screen and a hat if possible because you may have to walk a fair bit to explore the whole garden and having these things handy will help.